Blizzard Entertainment has partnered with Facebook to launch a new live streaming features for all their games including Overwatch. The new company Twitch grew exorbitant heights and have been earning massive revenue through streaming content. Overwatch is one of the most popular games in the list. The game is in sixth position while titles like Counter Strike Global Offensive, Dota 2, League of Legends are in the top five positions. Valve, developers of CS GO and Dota 2 have their own streaming service on their Steam platform. Youtube has already joined the fray by launching Youtube Gaming and all major tournaments are streamed live so that people could watch it as it happens. Blizzard has no such way and they don’t want Twitch making so much revenue out of their intellectual property. As it is impossible to stop it legally, they have decided to seek help from Facebook to live stream their own content. Named ‘Blizzard Streaming’ the feature now allows players around the globe to share their experiences on Facebook. Being the largest social networking platform with over a billion subscribers, FB obviously can help them instantly reach their gamers. Most of them love being online on Facebook to stay in touch with friends and when they could watch their favorite games live, there is no reason to log out of the website. It is a mutually beneficial deal for both Blizzard Entertainment and Facebook. The feature was launched today and is now available in Americas, New Zealand, Australia and Southeast Asia. The team has confirmed that they will soon be rolling out the same in other parts of the world. For now, the function works only on Windows computers and it will soon arrive on Macintosh systems. 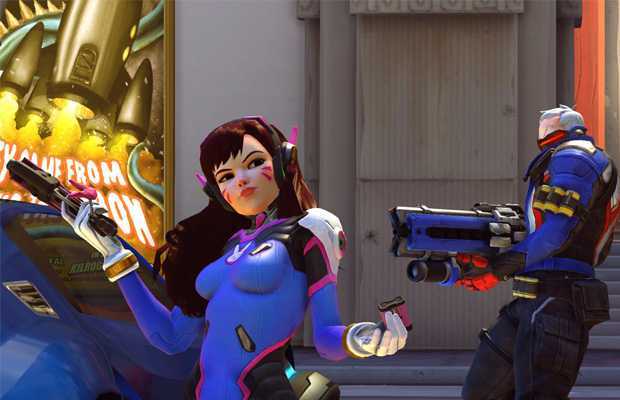 Within a short period since its launch, Overwatch became the top streamed content and Blizzard has been strong in trying to protect their property. They made some strong comments against Twitch and their streaming policies. Blizzard partnered with Facebook a couple of months ago to allow players on PCs to login using their FB id. If you wish to play Overwatch, Starcraft 2, World of Warcraft or Heroes of the Storm, you can simply use your Facebook username and password to login to Blizzard servers. Now with the streaming services, the big players are partnering to take down Twitch which is no easy task. The Amazon owned company is equally huge and it’s going to be all-out war to become the best streaming site.